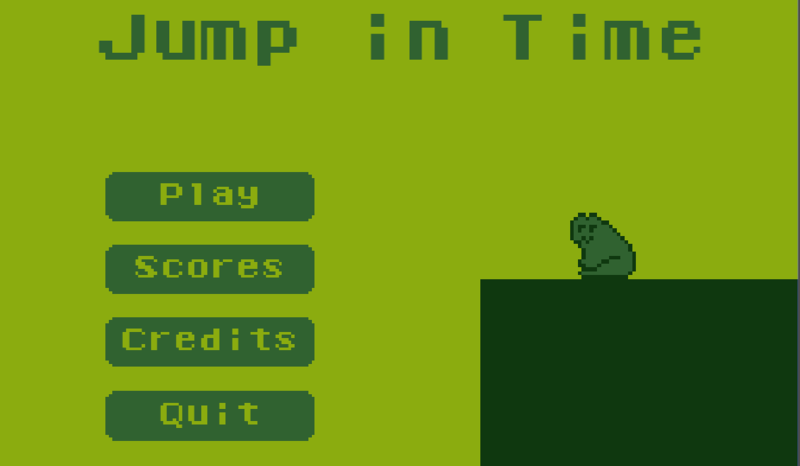 Jump in Time is a 2D platformer game made for the Mini Jame 23: Time (#minijam) with the theme 'Time' and the limitation of using a palette of 4 colors. 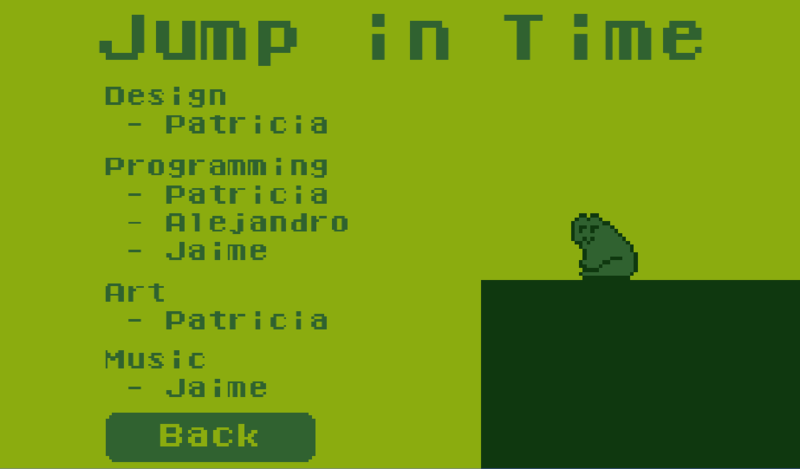 The 4 colors chosen were the original GameBoy ones and we went for a retro and hard-but-rewarding type of game, where the main objective is to just have fun and as much laughs as you can because the game is endless and as such, there is no limit to how many hours you can pour into this game. 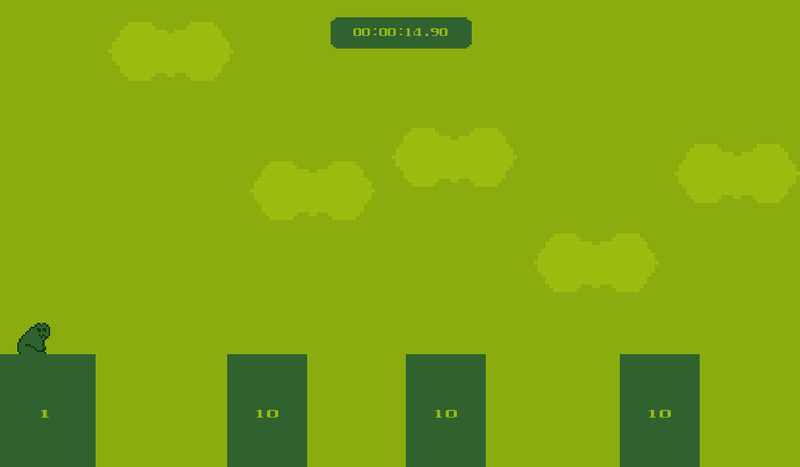 Linux Charge the jump with SPACE BAR or LEFT CLICK. Release the key to jump. Mobile Charge the jump holding a finger in the screen. Release to jump. 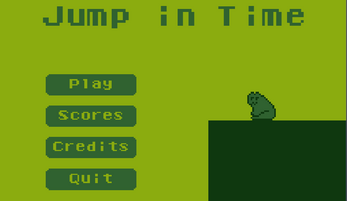 The theme of 'time' appears on the time the platforms have before they are destroyed. 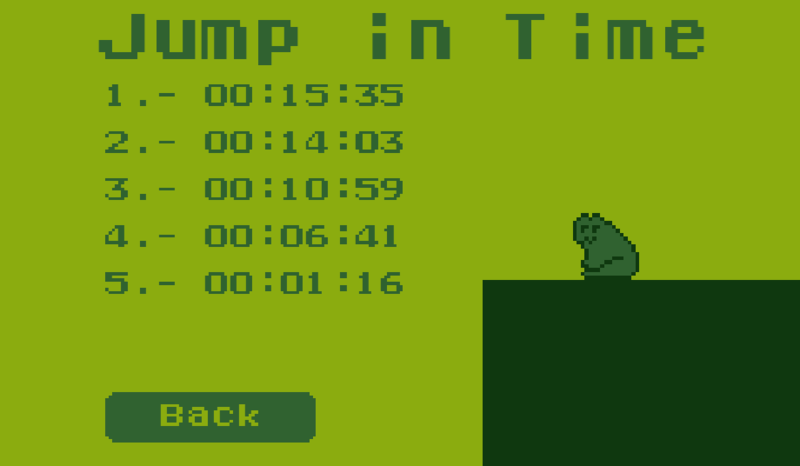 Another way the time shows up in the game is that the time you have played trough a single run is your score.